cloud cloud print cloud storage cloudstorage collaboration sharing space The age of cloudstorage and you! The age of cloudstorage and you! We've seen an increase in various services that offer CloudStorage for your data. Availability for any type of files is virtually out there. Anything from your family photos to your entire desktops, laptops, smartphones and tablets. Is it really for you, me and everyone? With the increasing use of mobile devices and our busy schedule we don't always have the space needed to carry with out our entire music collection, photo library or even your school work and projects. This is where the cloud comes in. Just under 5 years ago a lot of the fuss was the ability to FTP your work back to a "server" and store your stuff there so you could access it later. This is mostly true for university students, business workers etc. 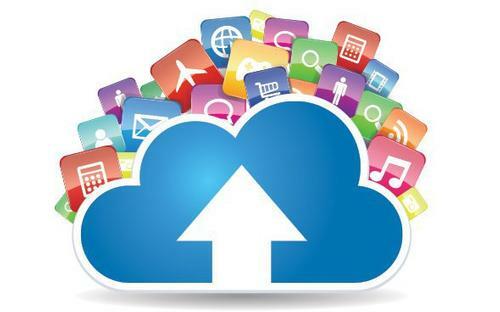 With the arrival of CloudStorage this gives you even greater flexibility and more privacy. But is there more privacy? I will say yes, but others may argue that point. Everyone at this should know that there's no one full proof system when it comes to privacy, your trusting the company to whom you've uploaded your files to. It comes down to how you feel about the service after reading their privacy policies and security they've put into place. You'll find other options but the ones listed above are in my book the biggest names. Not that they all have the same features but they all differ in various areas. I myself for the shear fact of CloudStorage I've been trying out the competition and it's fierce. At this moment I'm testing out CX, although they aren't offering crazy amount of storage capacity they do offer reliability in terms of speed, replication and consistency. There interface for the PC, Web, Smartphone area is also well design and easy to follow. This isn't the only one I'm testing. I've tested other services that didn't stand up to what I needed. But needless to say I'm not doing bad press, so no names will be mentioned, you'll just need to try them out to see what WORKS FOR YOU. Ultimately when I'm going to be using a service that stores my information into the Cloud, I want it to be available on all my devices in the same way. Not having to wait 1hr or 24hrs later for replication. This enables me to work on my tablet, leave for a meeting, grab the file and email the link to it to someone else who will be able to view the content as I left it. I'm sure you can see the idea of what I want. I'm currently using Google Drive to store documents, Dropbox to store my pictures and projects and I'm testing out CX for other purpose. I wouldn't want to keep all my eggs in the same basket. Any important files? They are kept on a drive at home and are encrypted such as medical records, dental records, deeds, important notification. I do have a backup of those as well in the Cloud just in case. It can be usefull for a lot of reason. this eliminates the need to actually carry all your pictures with you. Simply open the app in question browse the content and there you have. We live in a digital world where you can get free WiFi almost anywhere. I say almost, because it's not everyone that has the "always on" connectivity.